The Society of Surgical Oncology (SSO) looks forward to welcoming attendees to the 72nd SSO Annual Cancer Symposium, March 27-30 at the San Diego Convention Center, San Diego, California, USA. 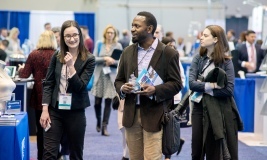 As an attendee, SSO 2019 offers you an ideal forum to learn about and discuss recent updates and controversies in cancer care research, advances in basic and translational sciences and new, novel techniques in cancer surgery. 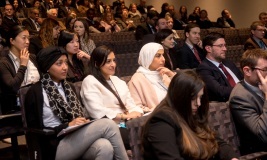 You will also have access to an array of educational opportunities including lectures, symposia, Great Debates sessions, late-breaking videos and Meet the Professor (MTP) breakfasts, just to name a few. Additionally, SSO 2019 provides numerous opportunities to network with colleagues and old friends, as well as meet new associates who may just turn out to be future collaborators. Places to gather during SSO 2019 include the Exhibit Hall, Fellows and Residents Lounge, Industry Forums, lunch and refreshment breaks and of course, a bevy of outstanding restaurants, coffee shops, museums and walking paths all around San Diego. 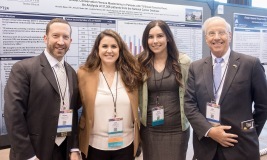 With more than 1,800 multidisciplinary oncology professionals from a variety of practice settings expected to attend, SSO 2019 promises to be a unique educational and networking opportunity. We look forward to seeing you in March!